What Is Commercial Excess Liability Insurance? Commercial Excess Liability insurance provides additional protection when your business needs exceed insurance limits available on an underlying policy. How does commercial excess liability insurance protect your business? Excess liability policies add another layer of protection to any of several other policies that you might hold, including general liability, employer’s liability, and hired and non-owned auto liability policies. As an example, if you have $1 million in general liability coverage and a covered claim is settled for $1.5 million, your small business’s excess liability insurance policy could pick up the additional amount. Excess liability insurance is generally the most affordable way to get higher policy limits over several other small business insurance policies. Umbrella’s and Excess are not always the same. The terms are linked sometimes, but you need to know what the differences are. 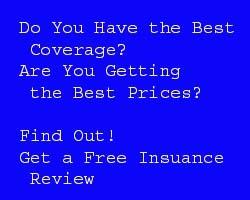 Generally speaking, Umbrella’s pick up when underlying coverage is depleted. It may cover some losses when there was no underlying coverage or there was a lapse in that coverage. Excess policies usually have a deductible (retention limit) and only go over existing coverages. Both types have exclusions that need to be reviewed to be sure what effect they would have on your business. Commercial Excess Liability policies do not extend the coverage limits on errors and omissions or professional liability policies.